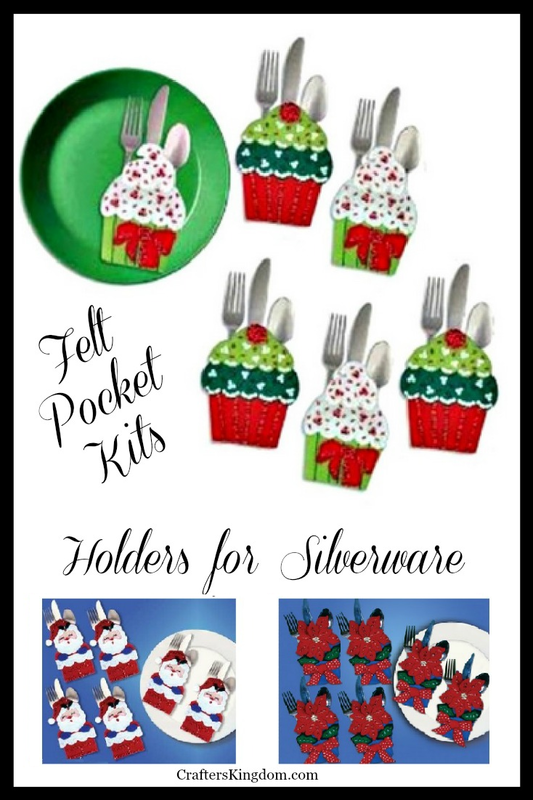 Festive Felt Silverware Kits are a great way to add amazing personality to your table setting during the holidays or anytime. The finished silverware keepers or the kits make great gifts. You can make them for your celebrations, dinners, holidays or any time you want to set the table in a celebratory style. Silverware holders give your table an elegant feel. Plus, the special attention lets everyone know how important the gathering and the guests are to you. If you have also created them, then you have doubled the importance of the occasion. You know your guests will appreciate your thoughtfulness. Plus, you will so happy with how your table settings look with amazing felt flatware pockets and holders. Most of the kits are designed for Christmas. However, with a bit of adaptation, several of them could be used for birthdays and other occasions. Plus, they are lovely winter decor to brighten your home. 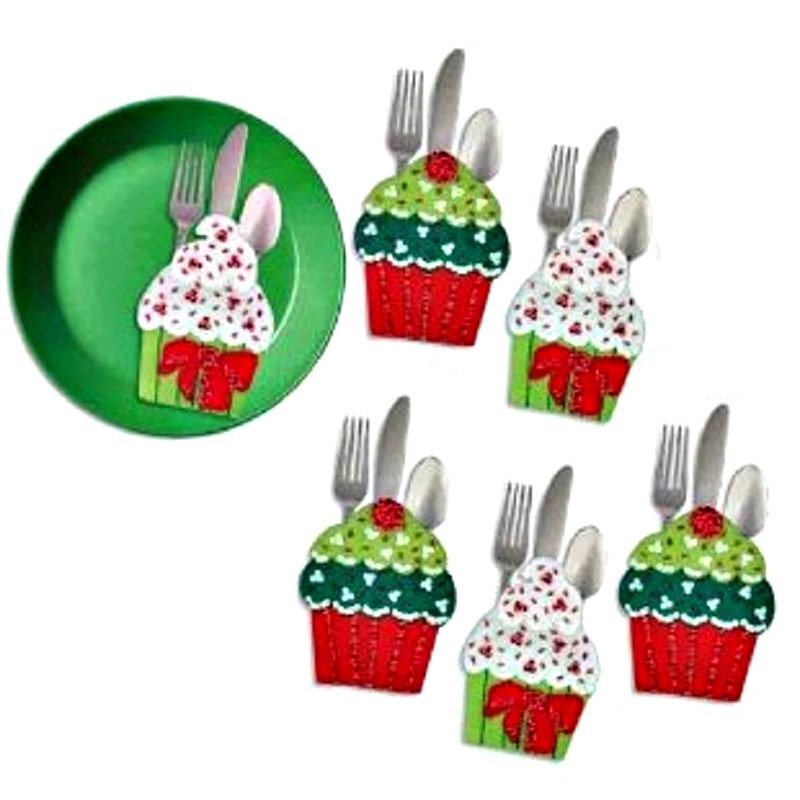 For instance, the felt cupcake flatware pockets shown on the right, could easily be used for birthday parties. If you feel especially creative, you could even use paint markers or Pigma Micron pens to add names or “Happy Birthday”. Penguins or Poinsettia flowers would also make adorable flatware pockets for parties that are not specifically holiday related. Leaving off the sequins makes them more “everyday” in appearance. These silverware pockets would make wonderful favors for guests to keep from the party too. 6Pcs/lot Christmas Decoration For Home Silverware Holdersanta Pockets Dinner Knife Fork Holders Santa Claus Christmas OrnamentCheck PriceOf course, there are kits that are truly just for Christmas! Snowmen and Penguins are going to take the lead all winter long. The felt applique kits will give you beautiful winter flatware holders that will get the dinner conversation started for the evening. Not only are they great for adults, but they are a delightful addition for the children’s holiday dinner table. 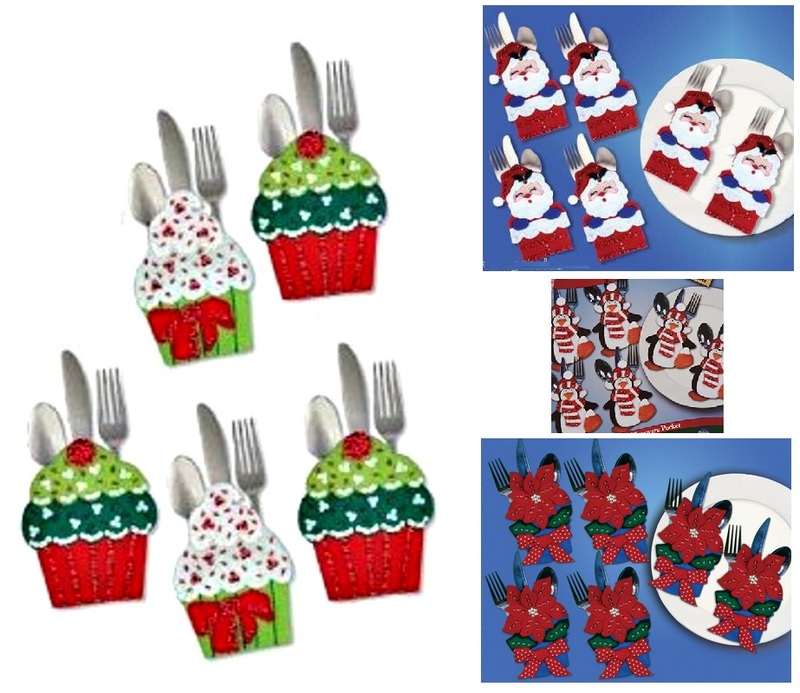 Santa themed felt silverware kits give you a great way to bring whimsical flare to your holiday table setting. With a beautiful flatware presentation, every guest will have a smile on their face before they even see what you have on the menu. These pockets are even pretty enough to hang on the tree. You and your guests can find great ways to use them after the party. These delightful Santa silverware pockets are going to make the best gifts completed or still in the kit. If you are going to give them as a kit then share them early. That way, your recipient will have plenty of time to make them before the first holiday dinner. Ebay is always a wonderful source for hard to find craft kits. With hundreds, maybe even thousands of sellers, they often feature kits that were long ago sold out. Truthfully, it is one of my favorite online places to shop, especially for craft kits.